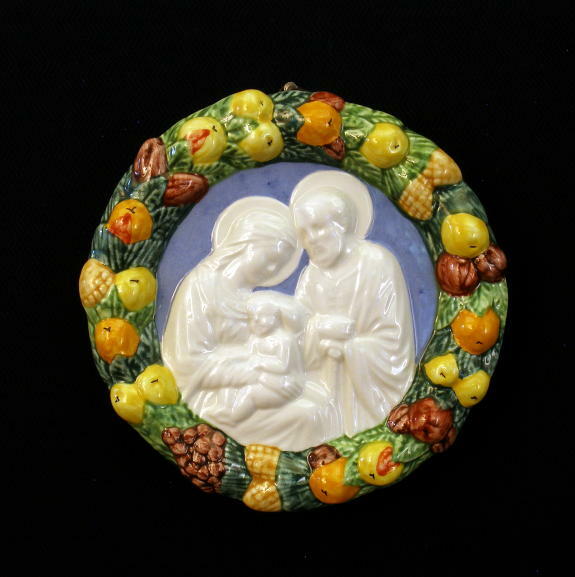 Holy Family Della Robbia wall plaque in hand-crafted and hand-painted ceramic wall plaque, 4inches diameter. Also available in 6inches diameter (DR-113), 10inches diameter (DR-177), and 14.5inches diameter (DR-122). Made in Italy.